Originally from Fort Wayne, Indiana, Dr. Givens pursued his undergraduate studies at Indiana University. From 1970 through 1973 he was a biology major and University Division Scholar. Following completion of medical school at Vanderbilt University in 1977, he was an intern in General Surgery at Georgetown University Medical Center in Washington, D.C.
From 1978 until 1982, Dr. Givens was a flight surgeon in the United States Air Force at Shaw Air Force Base in Sumter, South Carolina. During that time, he was Chief of Flight Medicine and the principal accident investigator for Headquarters Ninth Air Force. In Addition to his role as a weapons systems officer for an F-4 squadron, he completed the Army Airborne School at Fort Benning, GA in 1981. In 1982, Dr. Givens returned to Georgetown University and completed his residency in General Surgery. This was followed by a Thoracic Surgery Fellowship, specializing in surgery of the chest. 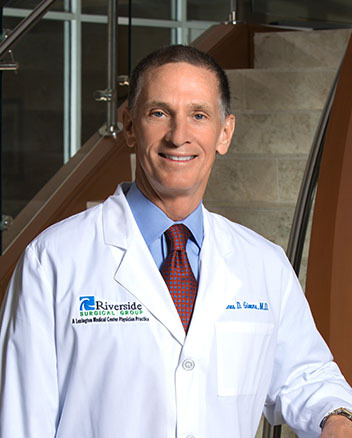 In addition to advanced training in Thoracic Surgery, Dr. Givens has had post graduate specialty training in laparoscopic (minimally invasive) surgical procedures. These advanced procedures involve surgery of the lung, esophagus and stomach. Since starting private practice at Lexington Medical Center in 1986, Dr. Givens has performed thousands of operations in the Midlands of South Carolina. He was board certified in General Surgery in 1989, and recertified in 1998 and again in 2009. Over the years, Dr. Givens has served as Chief of Surgery and Chief of Staff at Lexington Medical Center. He has also been a member of the Board of Trustees from 1995 through 1997, and again from 2003 through 2004. Together with Drs. Strickland and Antonetti, they formed the South Carolina Obesity Surgery Center (SCOSC). The SCOSC was the very first weight loss surgery practice in the midlands and the first obesity surgery practice in the state of South Carolina. The SCOSC achieved its first Center of Excellence Award from the American Society of Metabolic and Bariatric Surgery (ASMBS) in 2005 and its second designation as a Center of Excellence, from the American College of Surgeons, in 2008. By the end of 2008 the surgeons of the SCOSC had performed over 3000 bariatric surgeries.